Owen the baby hippo and his mama were best friends. They loved to play hide-and-seek on the banks of the Sabaki River in Africa. That was all before the tsunami came and washed Owen's world away. But after the rain stops, Owen befriends Mzee, a grayish brown tortoise. He plays with him, snuggles with him, and decides he just might turn out to be his best friend and a brand-new mama. Inspired by the tsunami of 2004, acclaimed storyteller Marion Dane Bauer and celebrated illustrator John Butler depict this heartwarming true tale of healing, adoption, and rebirth--with splendid illustrations and oodles of love. Recommended for ages 2 to 6. Owen the baby hippo and his mama were best friends. They loved to play hide-and-seek on the banks of the Sabaki River in Africa. That was all before the tsunami came and washed Owen's world away. But after the rain stops, Owen befriends Mzee, a grayish brown tortoise. He plays with him, snuggles with him, and decides he just might turn out to be his best friend and a brand-new mama. 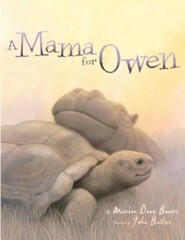 Inspired by the tsunami of 2004, acclaimed storyteller Marion Dane Bauer and celebrated illustrator John Butler depict this heartwarming true tale of healing, adoption, and rebirth -- with splendid illustrations and oodles of love. 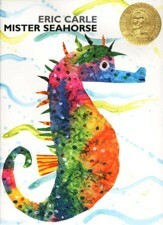 Marion Dane Bauer is the author of many books for young readers, including the Newbery Honor book On My Honor and the New York Times bestseller My Mother Is Mine. 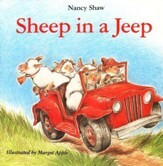 Her other titles include A Mama for Owen, If You Were Born a Kitten, Grandmothers Song, and Thank You for Me! She has retired from the faculty of the Vermont College of Fine Arts MFA program in Writing for Children and Young Adults where she was the first Faculty Chair. She lives in Eden Prairie, Minnesota, and can be reached at MarionDaneBauer.com. 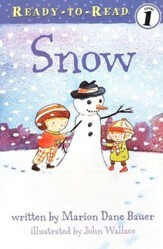 John Butler has illustrated more than forty books for children, including Little Chick, Little Bunny, A Mama for Owen, and While You Were Sleeping. He has worked for Sesame Street and Time magazine and resides in the United Kingdom. I'm the author/artist and I want to review A Mama for Owen.